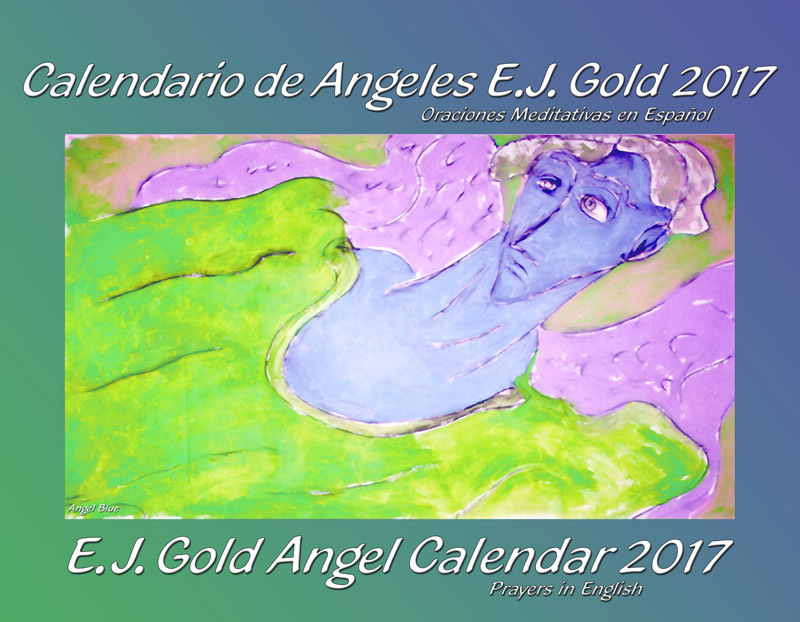 2017 Calendar -- a page with prayers in both Spanish and English for each month. 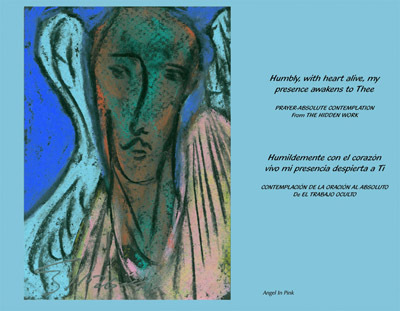 The sequence of prayers in the Angel's Calendar 2017, gives the feeling of a story unfolding all year long. A story evoking human transformation and transcendence from the material world to higher realms, from limitation to infinite expansion. I am your true abode and the door is open. Enter and be annihilated in the force of love. Entra, y s� aniquilado en la fuerza del amor. I remember myself as the voyager, whose deepest nature is the Clear Light itself; I am one; there is no other. Yo me recuerdo a m� mismo como el viajero, cuya naturaleza m�s profunda es la Luz Clara. Yo soy uno; no hay otro. My compassion is love without return. And my love flows outward and needs no response. Mi misericordia es amor sin retribuci�n. Y mi amor fluye y no necesita respuesta. We are one hair's breadth from the Kingdom of Heaven, a hair's breadth from the Garden of Eden, a hair's breadth from the Eternal World ... we are liberated, yet we do not know it. 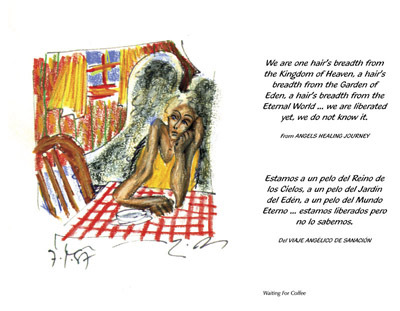 Estamos a un pelo del Reino de los Cielos, a un pelo del Jard�n del Ed�n, a un pelo del Mundo Eterno ... estamos liberados pero no lo sabemos. And my consciousness is inseparable from the Great Body of Luminous Light and I am the Unchanging Light without limit. 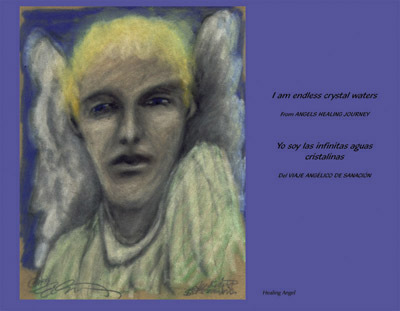 Y mi conciencia es inseparable del Gran Cuerpo de Luz Luminosa y soy la Luz Incambiable, sin l�mites. Come, and in the end there is no mirror. Be courageous! Be brave! Be virtuous! Be pure! Ven, y al final no hay ning�n espejo. �S� valiente! S� valiente! S� virtuoso! S� puro!